The one thing every beginner juicer wants to know is “What is the best juicer to buy?” We wish there was a definitive answer to this, but like so many other things in life - it really depends on who's asking. Or more specifically, what you mean by "the best juicer." 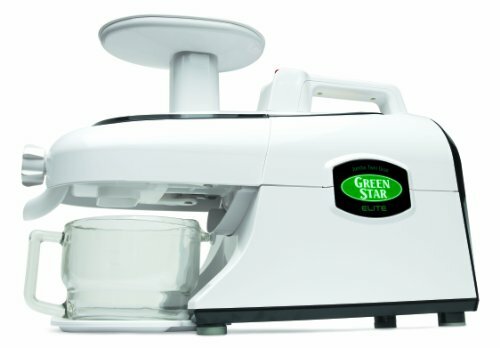 The Green Star is the best triturating juicer under $1000. 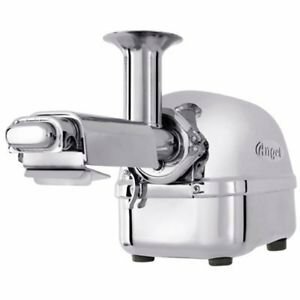 Designed in all stainless steel, the Super Angel is the most gorgeous juicer around - but it's not just a pretty face. It's the best triturating juicer on the market with the juicing skills and a price tag ($1500+) to match. The Norwalk is the ultimate juicer - for serious juicers who juice enough to justify the $2500+ price tag. It's a hydraulic press juicer with a 2-part process that gently & completely presses out foam-less, froth-less, oxidation-free ​juice of the highest nutritional value. Are the above 3 juicers the best juicers on the market? Yes. But are any of them the best juicer for you? Not necessarily. You see, the above top-of-the-line juicers are sort of like luxury cars. Since the Super Angel is most often compared to the Rolls Royce, let's go ahead and say that the Green Star is comparable to a Mercedes Benz (S class). As for the Norwalk? Well, that's not even a car - it's more like a private jet. So the reason that we don't recommend these top-of-the-line juicers to most people is for the simple fact that most people do not need a private jet or a Rolls Royce to get around. Sure, the above juicers are top-notch and they'll produce the best-est juice around, but they're simply overkill for most people. That's why we only recommend juicers like the Super Angel or Norwalk if you are extremely serious about juicing and/or using juicing as a treatment to recover from serious illness (i.e. on the Gerson therapy​) and want to make sure you'll be getting the highest quality juice possible. If you're looking to get started juicing and want the best juicer to do it with - the best juicer for you is simply a juicer that lies at the sweet spot of fulfilling your juicing needs while delivering high-quality juice. The good news is that you don't need to spend thousands of dollars to get that. A good place to start in finding the best juicer for your needs is ​to learn a little more about the various types of juicers and how they compare. Start by asking yourself five questions that will help you choose the best juicer for you. How much time can you spend on juicing? If not too long, you'll want a juicer that doesn't require you to cut your produce in advance or is super easy to clean or both. What do you plan on juicing? It's difficult to find the 'perfect' juicer simply because fruits and veggies have very different properties. 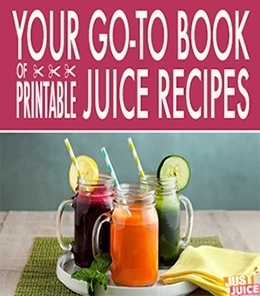 So the qualities that make one juicer perfectly suited for juicing one kind of produce (i.e. leafy greens) may make it not-so-great for juicing other kinds of produce (i.e. soft fruits). How important is juice quality? In juicing, there is a quality vs convenience quandary. Fast juicers like centrifugals are quick to set up, easy to use (you can toss in whole fruits) and quick to clean - but they introduce heat and oxidation into the juicing process and compromise overall juice quality. On the other hand, slow juicers like masticating and triturating juicers take longer because the machines operate at lower speeds and you need to cut the produce before juicing, but have the advantage of not heating juice, thus preserving nutrients and live enzymes. How soon can you drink the juice you make? Because fast juicers introduce heat and oxidation while juicing, the juices you make with these machines don't stay fresh long. 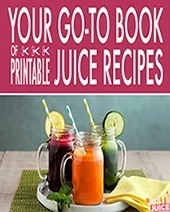 So if you mostly plan on juicing in bulk and then storing your juice to take on-the-go, you'll want to get a slow juicer since juices made with slow juicers last up to 72 hours. Do you need a quiet juicer? If you're a morning juicer and you have roommates/family, you might want a juicer that won't wake the household. How do you expect your juicer to last? If you're planning on paying $100+ for a juicer machine, you'll probably want to consider factors like how long the warranty lasts. 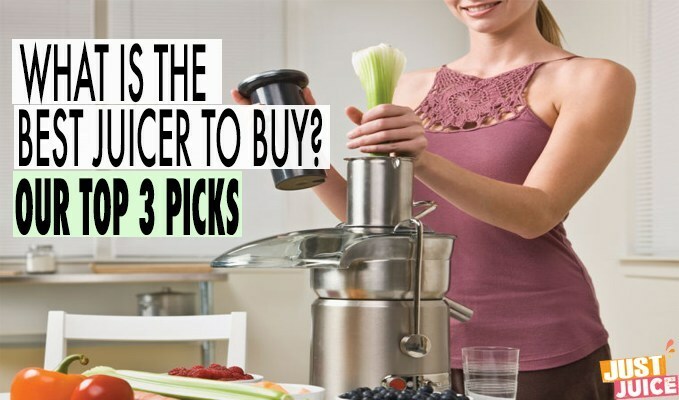 Okay, now that you (hopefully) know the answers to the above questions, we're going to take a look at the top 3 juicers. They all rank positively on many of the above criteria and produce very high quality, yummy juice. 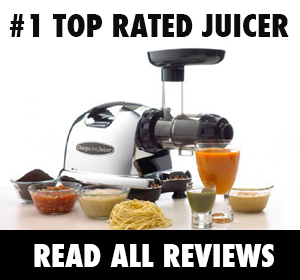 ​Just FYI: all our top 3 juicer picks are slow juicers - masticating or triturating. We've listed the best manual juicer and the best centrifugal juicer below them, though, in case that's what you're looking for. 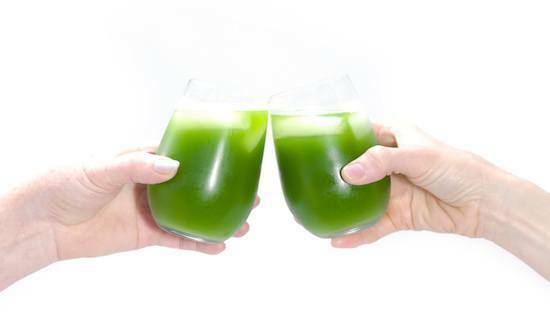 Happy hunting and here's to you choosing the best juicer for you and your juicing journey! This is the best-loved masticating juicer and not just by us - it's got around 2000 reviews on Amazon with a rating of 4.6 out of 5 stars. Which is awesome but not surprising considering it's a top quality juicer at a really affordable price (even compared to centrifugal juicers - at $290 on Amazon. ​So...how does it stack up on the 'best juicer' metrics? The one drawback of this juicer is its narrow feed chute, so you'll have to cut produce before you juice. And because it operates at a super-slow 80 RPM, the juicing is slow and methodical. The good news is that cleaning's pretty easy. Just make sure you clean as soon as you're done - it's a pain once produce dries up in nooks and crannies. Overall - to make a simple juice with 3 to 4 ingredients for 1 person takes a little under 10 minutes from produce prep to clean-up. Not bad at all. It does juice soft fruits, but expect pulp-y juice. It's not great for citrus fruits - you likely won't get entirely dry pulp. Oh, and no worries about bigger seeds (and stems) - it handles them well. The Omega is a super slow juicer - it goes at 80 RPM which means juicing takes time but you get great juice quality without heat or oxidation. This is a pretty quiet juicer - definitely quiet enough to have a conversation over. Considering what it does and its price - the Omega J8006 is a no-brainer top choice. And in case you're wondering what else it has going for it - this juicer can multi-task to make nut butters and fruit sorbets, grind coffee beans, mince garlic, and even whip up baby food and pasta. 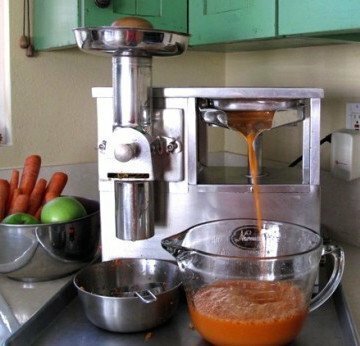 ​Hurom juicers are less well-known than the popular Omegas, but they hold a special place in my heart - mostly because they're super easy-to-clean. That's just one of the perks of a vertical juicer, which is what differentiates the Hurom from every other juicer on this list. Vertical juicers not only take up less counter space - they come with advantages that horizontal juicers do not. The best-est thing about the Hurom is that it's super easy to clean. It takes, oh, 3 minutes. Another time-saving perk is that this juicer is self-feeding so you can spend your time cutting produce while the juicing does its thing. You do have to cut produce into smaller parts, though, so that's a bit of a bummer. On the upside - although it also operates at 80 RPM, it somehow juices faster than the Omega above. Overall - to make a simple juice with 3 to 4 ingredients for 1 person takes way less than 10 minutes from produce prep to clean-up. Not bad at all. 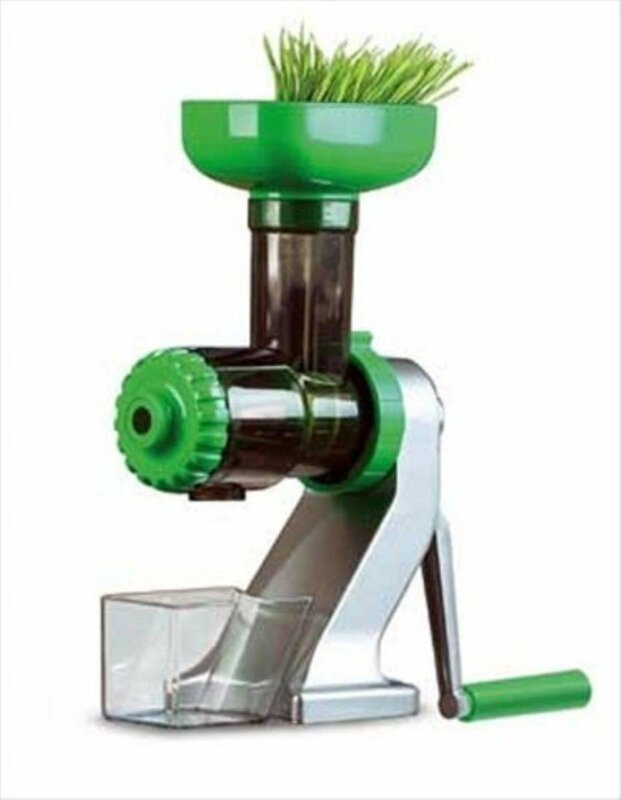 This is a very versatile juicer that can do soft fruits and leafy greens. BUT - the pulp won't be as dry from leafy greens as with the Omega (above) and definitely not as much as with the Green Star (below). And you'll have to alternate the greens with harder produce to make them feed well. Expect to get dried pulp from harder produce than softer ones. Like the Omegas, the Hurom slow juicer works at 80 RPM, which means no heat and less oxidation. It also has a patented Slow Squeezing Technology that gently squeezes rather than grinding and crushing to preserve nutrients in fresh produce. Very quiet juicer - definitely quiet enough to have a conversation over. It also comes with a 10-year warranty. If you're looking for a juicer that can handle a wide range of produce - soft, hard and delicate - and is super easy to clean...the Hurom should be at the top of your list. Tribest makes awesome juicers - and the Green Star is their best one. Amazon reviewers agree - the Green Star has over 150 ratings and is rated 4.4 out of 5 stars. The only reason we don't rank the Green Star higher is 'cause it is a luxury juicer and at $550, definitely not for everyone. But for a triturating juicer, it's the best value and it has enough going for it to make it into our top 3. This is the Green Star's main drawback. 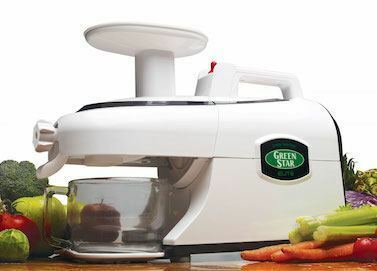 For starters, it's a triturating juicer with two gears that interlock to extract every last drop of juice from produce. It does so at 100 RPM, so it takes a lil while to do its thing. And the cleaning, well, there are more parts and getting them all washed up takes longer than we'd like (around 10 minutes). Overall - to make a simple juice with 3 to 4 ingredients for 1 person takes around 20 minutes from prep to clean-up. It'll squeeze every last drop out of harder produce, but it's not good for soft fruits. If you're doing any fruit, you'll want to get the fruit knob to make the process easier. The Green Star uses magnetic and bioceramic technology that allow it to both extract juice of higher nutritional content and delays oxidation so your juices stay fresher longer. As a result, you get juice (without separation) that you can refrigerate for up to 72 hours with a minimum loss of nutritional value. This is a very quiet juicer - definitely quiet enough to have a conversation over. It also comes with a 12-year warranty. The biggest perk of the Green Star is that it really gets all the juice out of your produce - you'll notice the bone dry pulp as soon as you start using it. This may not be so important if you juice occasionally, but if you're juicing a lot (and especially if you're paying top dollar for organic produce) - you're going to want to make sure there's very little waste. The Green Star will do that. Other perks? ​It ​has a sort of 'pulp control' option (fine screen vs coarse screen) so that you have the option for pulp-ier juices. You can also use it to make nut butters, sorbets, sauces, pate, and even pasta and mochi (rice cakes). The Z-Star is hands down the best manual juicer on the market. At $99.00 on Amazon, it's a steal for the juicer (person) who wants a juicer (machine) that is easy to use and wonderful with leafy greens, for which it is made. The Z-star manual juicer is unique in that it’s basically a single auger, masticating type of juicer without the motor, which means the same process of extraction with no heat and better preservation of nutrients and enzymes. You can also juice a pretty wide variety of produce in the Z-star, such as leafy greens (obviously), as well as harder produce like carrots, apples, ginger and even softer fruits like tomatoes. We love this juicer for its utter simplicity and function. It's great to have a fancy juicer with all the bells and whistles, but it's also nice to have a simple little hand crank that does its job and does it well for those days when you just want a glass of fresh juice without the fuss and muss of prepping and cleaning up. This juicer is also very portable - making it an ideal choice for every traveling juicer. The drawbacks of the juicer is that the pulp is not so dry and the juice is exposed to heat and comes out a bit foam-y. Also, this is not a good juicer for juicing delicate greens and herbs. But that being said, this juicer does a good job of juicing hard produce, which you can alternate with leafy greens for better juicing. It can also handle softer fruit like peeled citrus fruits and tomatoes. Overall, a good, affordable starter juicer that'll have you juicing in no time! I’m a proud Owner of the Green Star. I have to say that this is BY FAR the best juicer on the market and it is sold for a fair price, yumm! 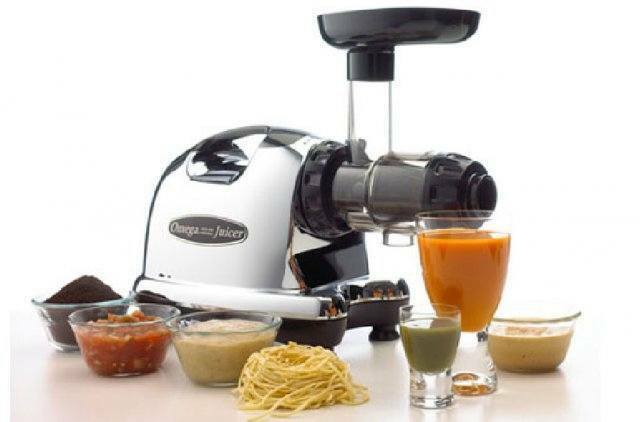 The Omega J8005 is a very good juicer, but now the new Omega J8006 is even better. 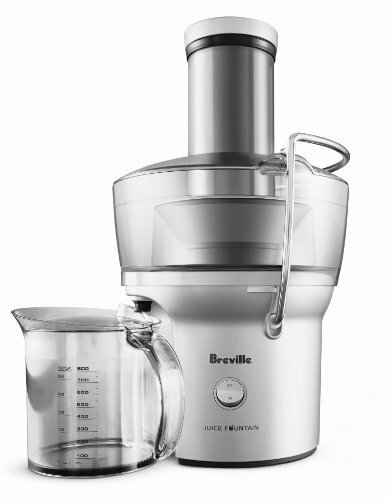 I think that it is currently the best masticating juicer on the market. 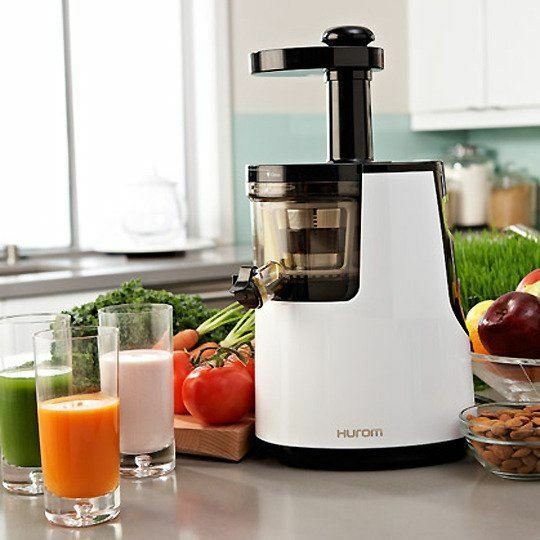 Here in the Netherlands the Hurom is one of the most popular slowjuicers on the market. I bought the nutrabullet juicer! Since I am a beginner juicer! I am trying to loose weight and get my bad cholesterol down! I hope I made a good choice! Any helpful hints would be greatly appreciated! !